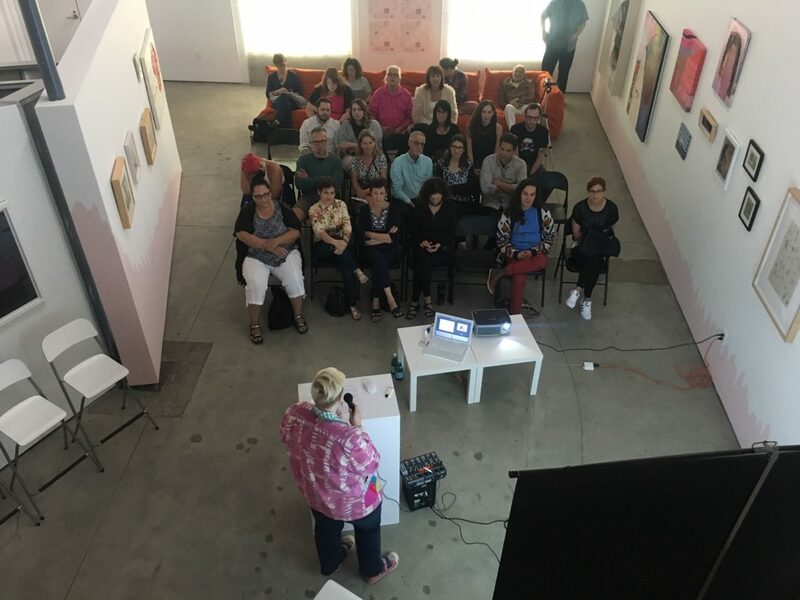 Artist and curator Lisa Rockford host this lecture and discussion highlighting the history of the color pink and exposing contemporary artists who have used the color pink ironically or subversively to draw attention to cultural issues. 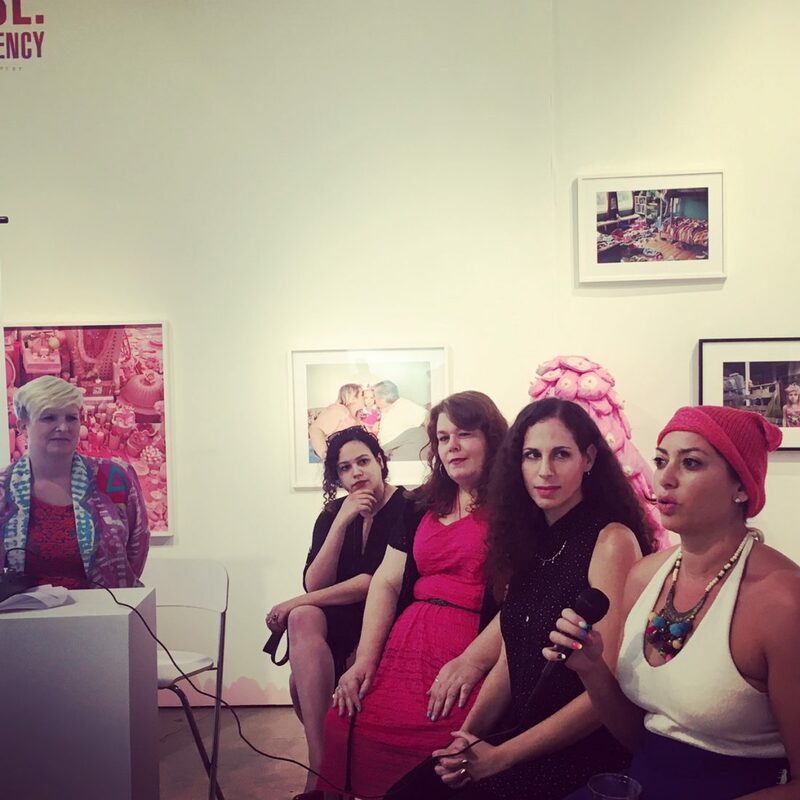 Artists featured in the Girls' Club current exhibit, Pink Noise: Flexing the Frequency, will give insight into their work as part of a panel discussion afterward, moderated by Lisa Rockford. - AdrienneRose Gionta, artist in the "Pink Noise" exhibit. - Jill Weisberg, artist in the "Pink Noise" exhibit. - Karelle Levy, artist in the "Pink Noise" exhibit. - Megan Castellon, artist and Co-Curator of the upcoming "Gritty in Pink" exhibit. 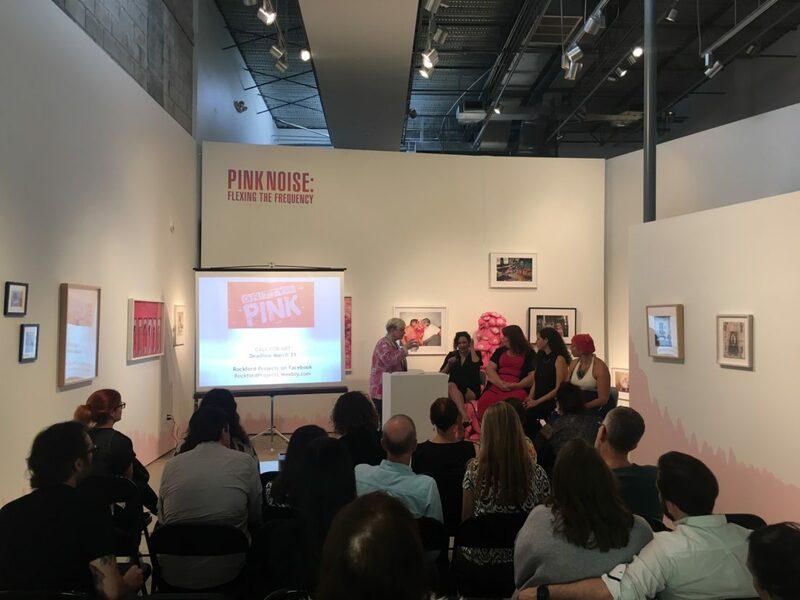 The talk will also show the inspirations for the upcoming exhibit, Gritty in Pink, curated by Lisa Rockford and Megan Castellon, former Girls' Club fellow. The exhibit is an open call, juried exhibition, with $1000 in cash prizes, opening in June 2017 at Bailey Contemporary Arts. Final Deadline for entry is March 31, 2017. Defying the traditional notion that pink represents delicate, saccharine depictions of femininity, these artists embrace subversive uses of the color. Pink is instead presented to embody strength through bold and often confrontational aesthetics, whether through abstraction with aggressive textures and brushwork, or through conceptual, humorous, ironic, or subversive and symbolic imagery. The artworks will encompass creative and clever uses of the color. For Gritty in Pink submission details, go to www.rockfordprojects.weebly.com.